The average person requires a minimum of 2.5 litres of water to remain hydrated throughout the day. Unfortunately, most workers in Australia are dehydrated and aren’t aware of it. With increasing studies revealing that dehydration affects performance, employers are starting to realise the importance of having a hydrated workforce. Not only does physical ability become impaired, but other aspects of functionality such as alertness, mental awareness, memory retention, and even happiness are also negatively affected. By introducing a water cooler into the workplace, employers make access to water easy and available for workers to keep themselves hydrated without excuse. By having a hydrated workforce, employers are indirectly increasing employee performance and productivity. Now, the concept of leasing water coolers is not foreign to the workforce. The advantages are aplenty such as a free cash flow without the need to invest into costly replacements for faulty water cooler systems. Leasing water coolers mean the absence of responsibility of maintaining the water cooler to work at an optimal condition. When leasing water coolers, the leasing company manages all aspects of ensuring a functional water cooler at all times. Experiencing a product failure? Just call up the water cooler company to fix it. Problem solved. It’s also a lot easier for the finance department to gauge yearly budgets when there is a fixed, regular monthly repayment plan that doesn’t change over time. As for the water quality itself, tap water bears the risk of containing bacteria and other contaminants which can give rise to health concerns. As part of corporate responsibility, employers should place the appropriate safeguards to protecting their employees from these risks that in turn affect their workforce. As a result of effective filtering, water that comes out of a water cooler is clean with the added benefit of tasting fresh and crisp. Investing in a water cooler that dispenses both hold and cold water increases a valued perception of care and corporate responsibility for the wellbeing of employees. 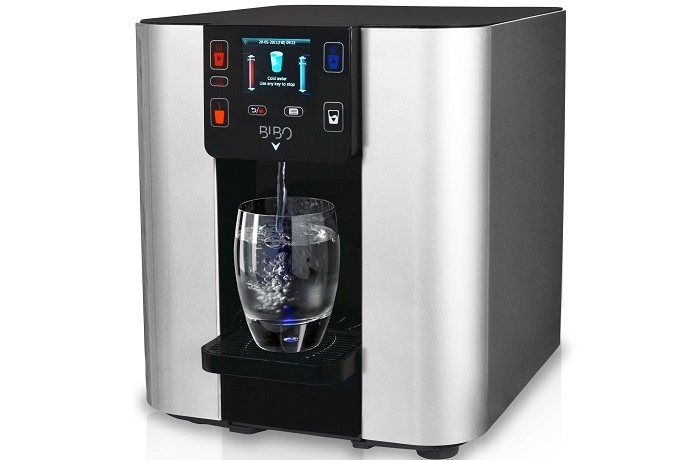 By providing easy access to hot and cold water, employees no longer have to waste time using a kettle to boil water when trying to make a cup of coffee to kick start their work day. Employees will also be more motivated to stay alert throughout the day as making coffees and keeping hydrated becomes easier especially when the water quality is improved as opposed to drinking chemically treated water straight out the tap. It also increases the perceived value of a business office when inviting clients and customers into the premises. The more control you have over the temperature of the water, the more likely the cost of leasing the water cooler will be higher. For businesses looking for a more cost-effective method for providing clean water, there are options for leasing a water cooler that only releases lukewarm water, ambient water, or chilled water. As there is no heating element required to heat the water, these types of water coolers often come at a lower price. Where a water cooler releases hot water as well, additional safety measures must be taken to ensure no injuries happen. For example, having a child safety lock on the hot water taps of the water cooler would be a smart way to prevent any unwanted tampering. As with anything, it is essential to research before making a business investment. Before deciding on leasing a water cooler, get in touch with the leasing company and make enquiries about any information you need clarification on. If in doubt, move to another one.